24 inches of freshwater baroque pearls adorn the Sun Pearl Necklace. 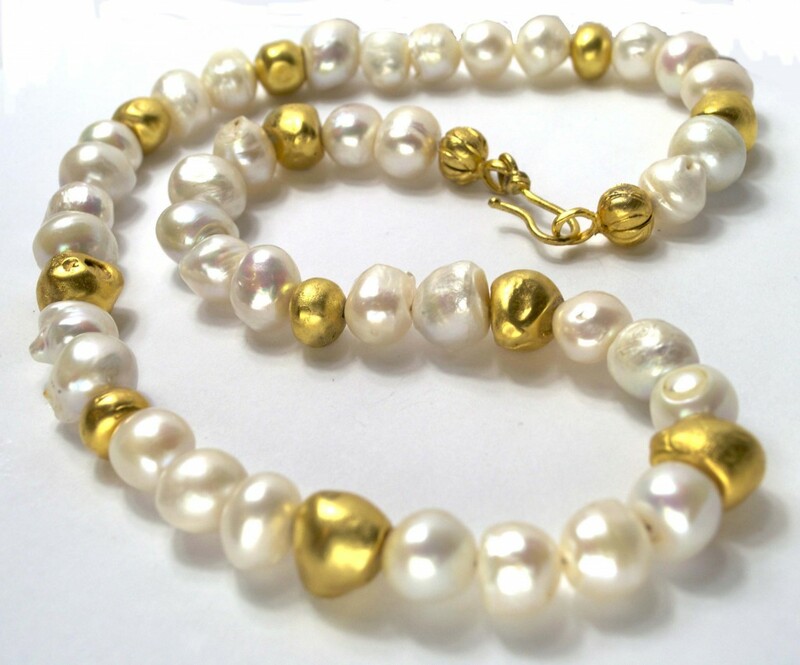 11 of these pearls have been plated in 24 carat gold - giving the necklace the shine of of the sun. Clasp is plated in 24 carat gold over silver. Handmade with love in Glen Arbor.